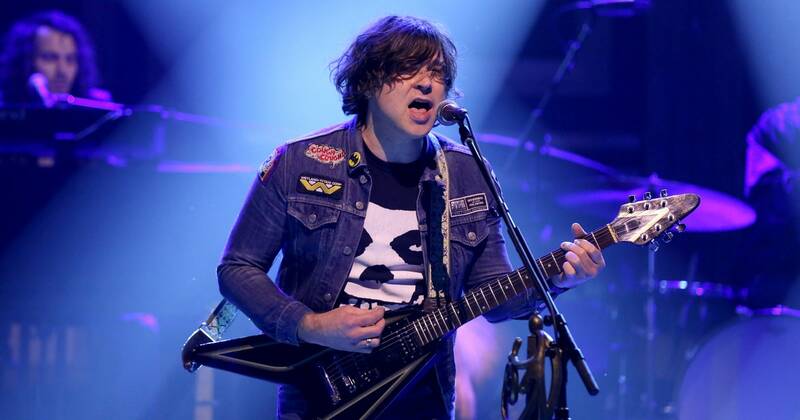 A few weeks ago, Ryan Adams and Band came to the Township Auditorium in downtown Columbia, SC. It was my first live show in…I don’t know how long, and it was well worth it. I’ve listened to many of Ryan Adams’ live albums, and I had always heard he was incredible live. But from the opening smash of “Do You Still Love Me?” until about four songs in, my wife and I watched with mouths agape. It was truly sensational to witness someone performing at such a high level. The music was loud but crisp, the vocals were pitch-perfect, strong, and passionate. The stage was a fun mix of speaker cabinets, old school arcade consoles, and miniature bowls of incense (which the stage hands were constantly scurrying on stage between songs to replace). The experience is really hard to describe–and my little iPhone video doesn’t do it justice. It was simultaneously a thrilling and saddening scene. The songs were gripping. Adams commanded the stage even without much banter or overt showmanship. However, the brokenness of the man behind the mic came through in a way that is muted on LPs. Several of the songs came to life on stage in a way I’d never felt before after dozens of listens. It was hard to watch as Adams relived the heartache of divorce for my entertainment: “Morning coming early every day/I can barely sleep, I been lying here awake/I close my eyes, I see you with some guy/laughing like you never even knew I was alive” (“Shiver and Shake”). This is the paradox of Adams–he’s best when he’s utterly destroyed. His simple, poignant songwriting emerges from the ashes of betrayal, broken relationships, and depression. I found myself wondering what it must be like to relive those memories night after night before thousands of strangers. Perhaps there is comfort in sharing those sorrows with others, knowing that they too have experiences the same sadness in their own lives. The most impressive bits of the evening were when the band stepped offstage and Adams donned a mic’ed acoustic guitar and harmonica to play an intimate piece like “Come Pick Me Up” or “Doomsday”. Every eye was glued to the man as he quietly bared his soul. I must admit I was perturbed at how many people were on their phones during the show. Live concerts are performance art. March 8th in Township Auditorium will never happen again. And yet, there they were, scrolling through a Facebook feed while a man was before them singing about the most difficult parts of his life. In a good live performance, there is a kinship of souls–even just for a few hours. How sad that we cannot connect with someone for even two hours uninterrupted by that banal, glowing screen. After that evening, my appreciation for Ryan Adams as a musician, lyricist, and performer has increased tenfold. There is something poetic about Ryan Adams. He turns the darkest parts of his life into some of the most beautiful songs–most beautiful performances–I’ve ever seen. It shines forth the glory of God–and I pray one day he will come to realize that. Previous Post I Am Racist.